Pre-washed fading and distressing break in the look and feel of modern skinny jeans as though they've been kicking around as old favorites for years. 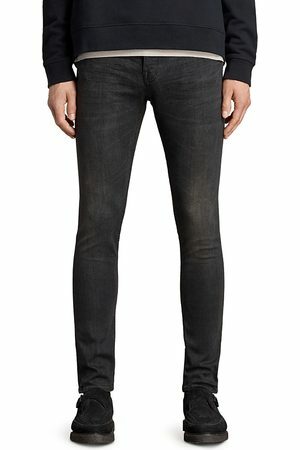 Style Name: Allsaints Cigarette Skinny Fit Jeans (Jet Black). Style Number: 5643013. Available in stores.